The Need for Speed – Slightly Mad Studios partnership that resulted in the first Need for Speed SHIFT game brought a whole new level of freshness and detail-oriented approach to the fabled racing franchise. Obviously, with the success of the first game, the second installment became a question of ‘when’, not ‘if’. Anybody that has played the first NFS Shift game will be familiar with the dynamics of the game, especially the prevalent way in which car crashes seem to occur. While the second version is pretty much a refinement of the original, there were a couple of tweaks and modifications done to make a little less crunchy and a lot more dynamic. Make no mistake; there’s still plenty of carnage to go around and there seems to be some sort of infatuation with wrecked vehicles that it almost feels as if it hurts us to play this game. But at the end of the day, this is NFS SHIFT 2 Unleashed’s winning-formula and as they say with a good thing, there ain’t no way to fix it. So instead of overhauling the whole game, Slightly Mad went on a slightly conservative approach, giving the game the same overall framework while adding some tweaks and refinements along the way. Details on Need For Speed: SHIFT 2 Unleashed after the jump. Similar to its predecessor, the game begins with you as a neophyte driver trying to hack it in the world of auto racing with the apex of your career landing you a stint in the prestigious FIA GT1 class. Depending on how good you are with the sticks, you begin to navigate your way through a series of open and closed events, beginning with some modest set of wheels like the Ford Focus or the Mazda MX-5. 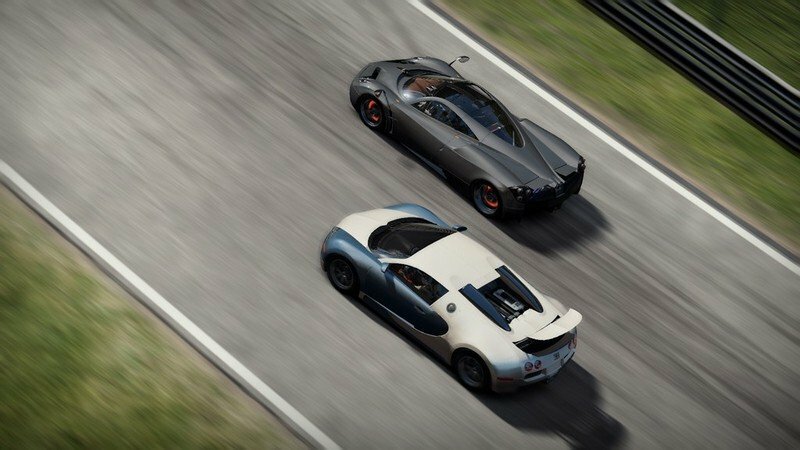 Earn your stripes and you can upgrade your wheels until you reach the zenith of competition where you can run around with the Aston Martin DB9, the McLaren MP4-12C, and of course, the Pagani Huayra. During your career, you’re going to be able to sidetrack yourself from going up through the circuit classes by enjoying some rounds of drifting. If you’re not too familiar with burning tires and smoking donuts, then you will be happy to know you have expert drifting advice from none other than Vaughn Gittin Jr., or at least a virtual likeness of him. And you get all of this from the confines of your own living room. Something that should be pointed out, too, is the relative simplicity of the game’s new interface system compared to the cacophony of confusion with the first game. But despite being scaled back, the overall skeleton of the game remains intact, including the basic reward system framework, which has been dialed down into XP points that grow as you complete various tasks and objectives throughout the event. Lead an entire lap and you get points. Or try going one lap unscathed. Whatever objectives you can successfully complete, you will be compensated for handsomely. 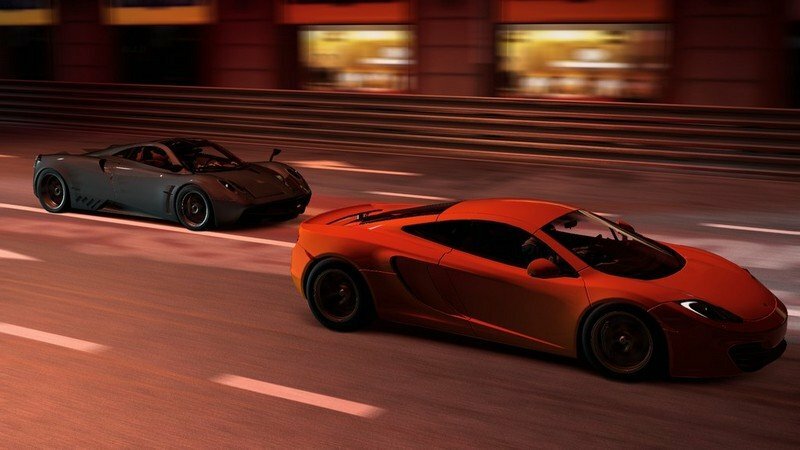 Running side by side with the XP points is the currency system, which you can use to buy new cars or make the necessary upgrades to the existing ones you have in your garage. But if you’re the type that has the patience for neither, you can just skip over all the hours of gameplay and just buy everything you want with your credit card. But where’s the fun in that? The graphics for SHIFT 2 Unleashed is a lot better than its predecessor; particularly because the first game earned its stripes by its destruction derby-like feel to it. Now that Slightly Mad dialed down on the carnage, you get a better appreciation for the graphics, which now rivals that of what Gran Turismo 5 can throw its way. In the continuous battle for the consumer’s hearts, Need for Speed SHIFT Unleashed is now showing that it can compete with some of the best in the industry, even in the realm of real-world racing experience. Need for Speed: Shift 2 Unleashed offers the same basic control layout of its predecessor, but the real fun is not really on which buttons to press, but on what kind of wheel controls you’d want to play with. Thankfully, there are plenty of options to choose from should you decide to go on a little wheel-accessory shopping. Logitech, Thrustmaster, Fanatec, and even some bootleg manufacturers – we don’t recommend this last one, mind you – all have wheel accessories that should make the driving and crashing experience all that more realistic. Depending on what platform you have, be it PC, PS3, or 360, each console offers their own set of choice wheel accessories. Of course, you could always keep that money in your packet and use the regular controllers, but really, that’s like bringing a dingy and rusty old knife into a proverbial gun fight. If you got your hands on Need for Speed: Hot Pursuit, then you might remember the game’s Autolog feature, which allowed you and your buddies to swap photos and messages while trying to beat the burning smokes out of one another. While Autolog seems to have been lost amidst all the random chaos of Hot Pursuit, the feature fits perfectly into the SHIFT 2 Unleashed system. Taking from its standard features of allowing you to check your profile and up-to-date track records, compare stats directly with your friends, and post a little trash talking courtesy of the Wall, the Autolog feature for this game has been expanded so that you can now continuously check all the top lap times of your buddies in the leaderboard of that specific track. It makes for a faster and simpler way of owning some bragging rights and at the same time, an easier way for your friends to try and one up your fastest time. In essence, Autolog is the chord that holds the Shift 2 Unleashed guitar together. Take it out and the game becomes just like any other roughshod racing game – albeit with better graphics – out on the market these days. 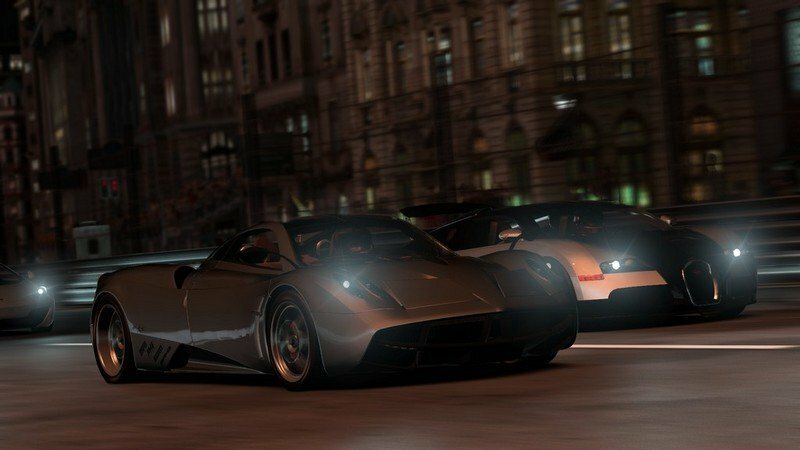 The PS3 and Xbox 360 versions of the new Need for Speed SHIFT 2 Unleashed come with a price tag of $59.99 whereas the PC version is priced at $49.99. It doesn’t have the comprehensive depth of Gran Turismo or Forza, but it more than makes up for in terms of playability. In a world where online gaming is fast becoming a popular way to spend hours on the console, Need for Speed SHIFT 2 Unleashed and its Autolog feature has the horses to make playing the game worth the time spent on our couches. Well, I guess its less to consider this car since the Forza will be release soon! I have heard that the features of Forza is better compare to this one! And I think it can be played using a steering as a controller. The thing that I like about this game is that, its has a unique sound while driving those supercar like the C3 which I haven’t heard in the GT5 game. It really makes me want to boost the power into high speed and feel the rhythm of that sound! Yeah, I have a plan to try this game. However, I just wonder if we could actually play this on steering wheel. This is quite interesting the graphics seems awesome like the GT5. And its kind of weird that my dream car is I can drive now! Yeah, it would be awesome to try this the two game. BTW, I think the GT5 is much better since there’s a lot of new feature included in its released. 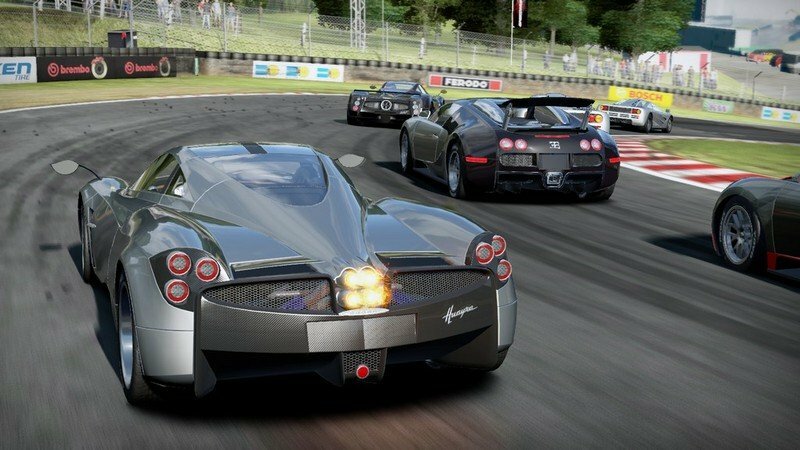 Its tough to decide between the GT5 and this game. I have seen that the graphics is good also. Maybe i should try to play the two. I’m really wanting to have one of this great game! I’m not sure if after playing this game I could still love the GT5. I cant wait to try this game! So, are you saying zulfi19 that NFS is not that popular? IMO,NFS would be the second great car game next to GT5. Well, that’s my opinion. Oh! 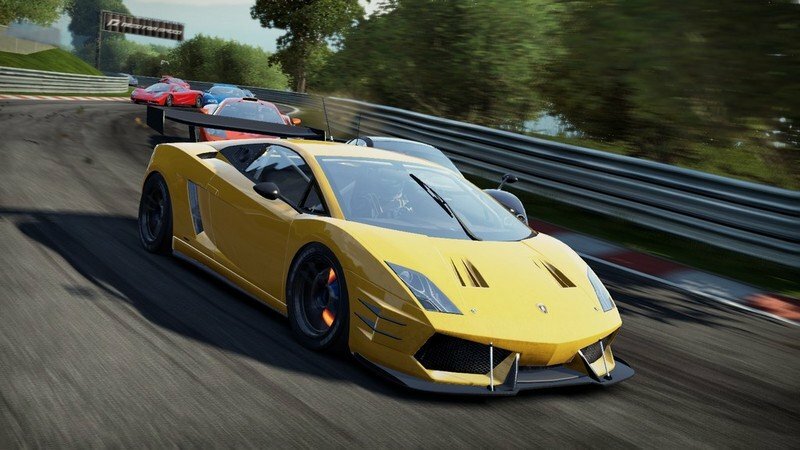 Forza is releasing an all-new game. OK, I had tried this one already this last weekend. So far, the first few races are actually easy, but they are starting to pick up now on the difficulty level. Better yet get yourself one of those crazy gaming chairs that they have shown here. That would certainly make the experience even more wild. With all these eye candy and gameplay goodness going on, I think I need to get me one of those steering wheel controllers. Definitely will make the experience even better. Well, it would be better if you stash all those games so that you can choose what to play. Say, you are in the mood for track racing, then you can just grab GT5. Well, there is no hurt if we try playing this game. Hence, i want something new to play but I’m not saying that I will stop playing the GT. BTW, NFs have admit that GT is the best when compare to Forza and their game. And you were actually able to relate this to Facebook, how interesting. The thing is, sharing is a common feature of many games nowadays, which I think is a good idea. Wow! That’s the actual in game graphics? Nice, very nice. They’re really getting closer to the ones that the Grand Turismo series has. Xp, currency, wall, sharing, Isn’t everything is similar to facebook? I find everyone following facebook due to its popularity.